Indian supermarkets are not always super places where everything is laid out neatly for consumers to pick easily. They are often disorganised and it is difficult to find things one needs. There are a few supermarkets which are well organised but mostly they aren't. Used as Indians are to kirana shops (mom and pop stores), they adjust to the mess without complaints. 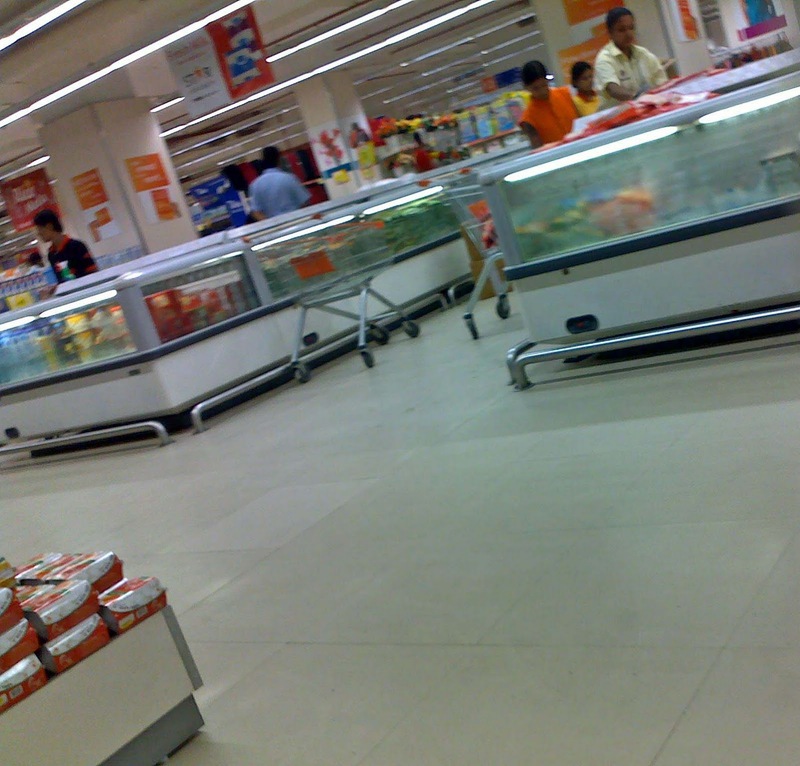 The first picture is of a crowded aisle where a trolley has been abandoned. Consumers themselves are not particular and add to the confusion. 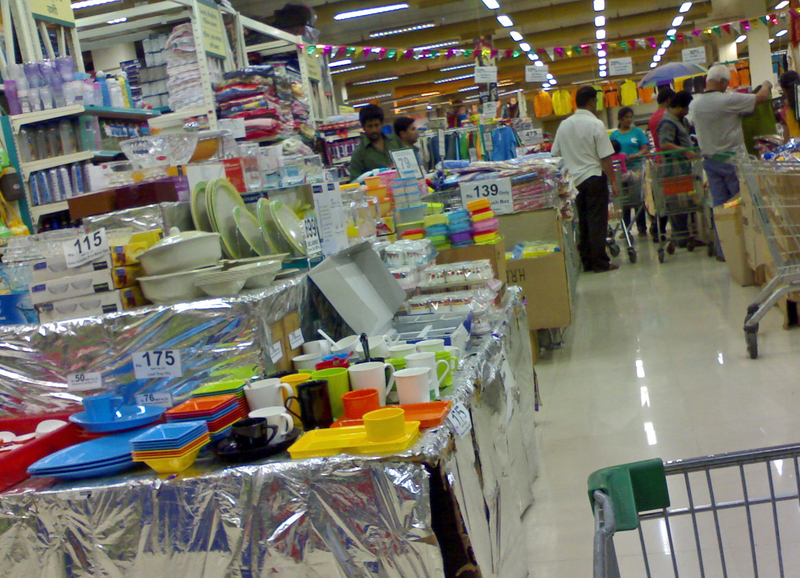 Often the sales people block the aisles, with trolley or boxes. In this picture you can see tomato puree which is becoming popular in India these days with rising tomato prices. Coconut Milk is also popular but is not available throughout the year. Coconut is used extensively in the Southern parts of India and this packaged form is a boon for housewives. Other things like tamarind paste and ginger garlic paste is also used extensively. This is the freezer section of the supermarket. Best to use this one for the web only as the image is not sharp. 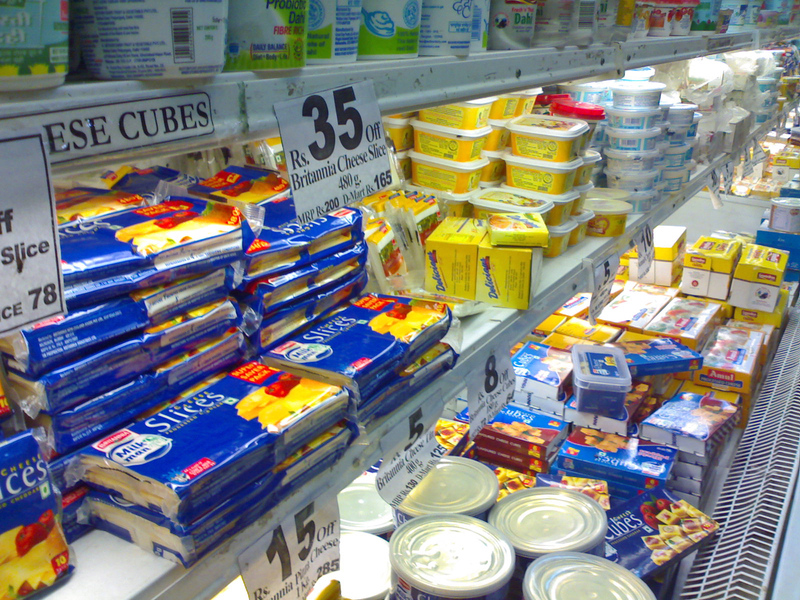 The picture below is a close-up of one of the shelves of the freezer. The is the frozen or chiller section of the supermarket. In these shelves you can see cheese slices, cheese spreads, tinned cheese, and butter. The picture below is of a hypermarket in Thane city. 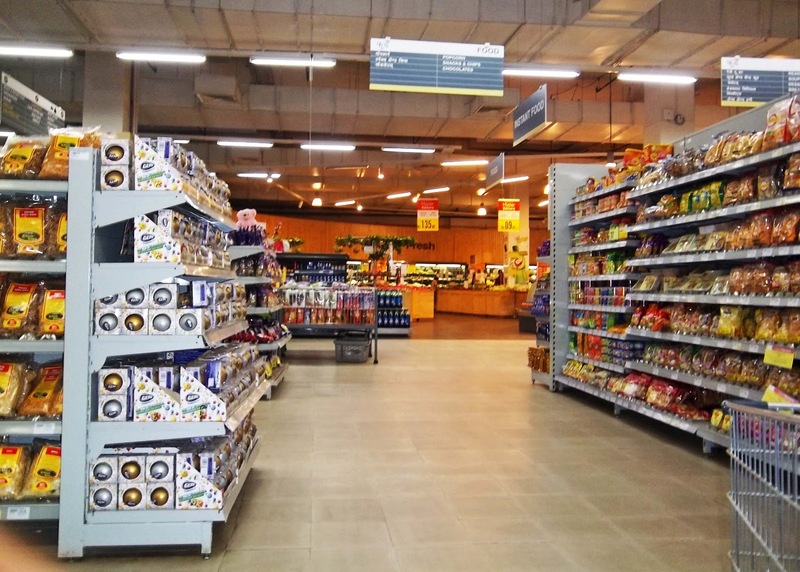 You can see the vegetable and fruit section at the far end and in the foreground snacks (to the right of the picture) and chocolates (to the left). At the bottom right hand corner you can see a steel trolley. The next two pictures are slightly blurred (sorry!). 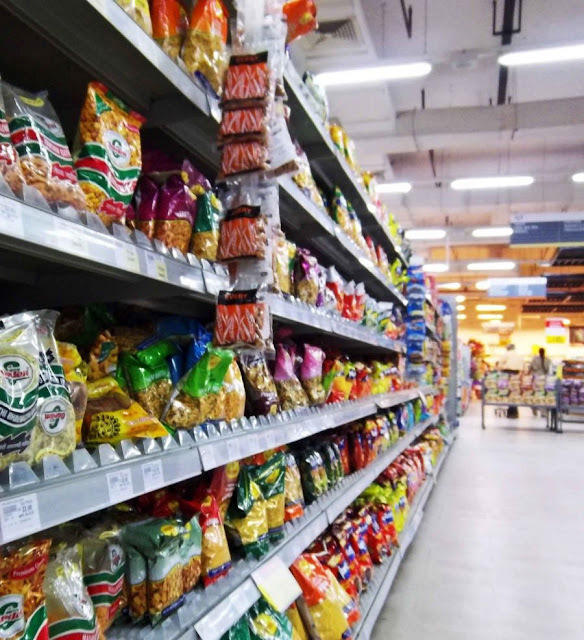 The first one is a close-up of the snacks section. What is called 'farsan' in India. Farsan is basically salted snacks or namkeen. Potato wafers fall in this category. 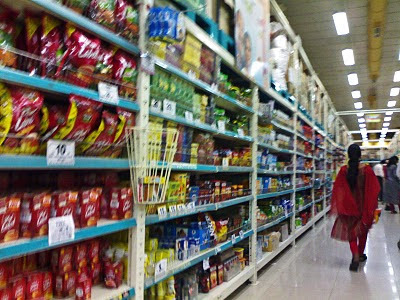 This last photograph is of an aisle in a supermarket. 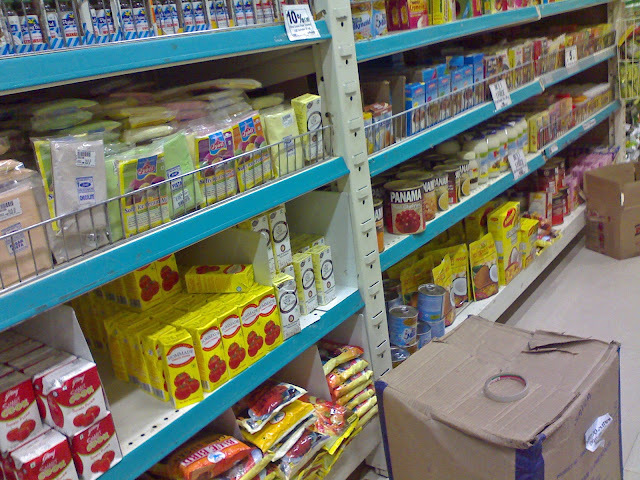 You can see some processed food packets to the left including tea and coffee. A woman customer is seen walking down the aisle. For better images of supermarkets in India: Indian Supermarket Images Or Fruit Vendors vs supermarkets or Small Retailers in India or photos of Markets.